How much is Zipschedules for 6 sites ? Do you offer some sort of discount ? Zip Schedules pricing is based on the number of employees at each location. For example 1-20 employees is $19 a month per location. Also the only discount we offer is for non profits. 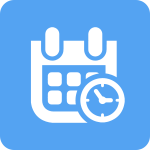 Here is a link to our pricing page for your reference https://zipschedules.com/employee-scheduling-software-pricing.html if you have any other questions please let us know. Is it possible to link different credit cards to pay for each of the different sites my company has? How do I add different sites?